I don’t know what it is about Liam Neeson running around inside a movie with an overly convoluted plot, but man, audiences eat it up. 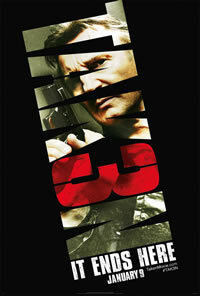 Not only did Taken 3 score a $39.2 million this weekend at the box office, but it even scored a “B+” with CinemaScore participants. Granted, “B+” isn’t great in terms of CinemaScore, but it’s far better than this mess of a movie deserves and impressive considering it was also up against NFL playoff football this weekend and showed growth over the weekend for what is the third best January opening of all time, just behind Cloverfield ($39.2 million) and Ride Along (2014) at $41.5 million. As for that opening, it’s $15 million more than the 2009 original and $10 million less than 2012’s Taken 2, but with a $48 million budget this one is going to be just fine once you tally overseas dollars as the last one nearly doubled the domestic total once all was said and done, finishing over $376 million worldwide. It’s becoming more obvious why new movies with young action stars aren’t working, people want 60-somethings doing the killing. Even Keanu Reeves in the vastly superior John Wick couldn’t generate Neeson or Denzel Washington‘s The Equalizer numbers. Coming in second was Ava DuVernay‘s Selma, though the numbers aren’t too great. Finishing with a $11.3 million, the expansion of the Civil Rights drama wasn’t as big as one would have hoped. On the bright side, it did score an “A+” with the CinemaScore audience, but it does make me wonder just what Paramount could have, and should have, done with this one to make it a bigger hit. I still think it’s a candidate for Best Picture, but after missing out at the BAFTAs, I’m not expecting much in terms of its awards showing. I mention this only because awards attention would have greatly helped it in terms of audience exposure. Judging from the weekend box office, apart from people writing think-pieces on the net, the only truth Americans really care about is whether Bryan Mills killed his wife or not. Lulz. Falling to third for the first time since being released is The Hobbit: The Battle of the Five Armies, dropping 56.9% to $9.3 million as its cume rises to $236.5 million, on its way to a likely $260 million domestic finish. Just missing out on the top ten is Inherent Vice, which expanded to 645 theaters, but could only muster $2.77 million, despite all the “groovy” advertising. Meanwhile, Clint Eastwood‘s American Sniper continues to be a champion in limited release as it is still playing in only four theaters where it made $579,518 for a $144,880 per theater average. Next weekend sees the release of Blackhat, Paddington and The Wedding Ringer as the hits just keep on coming.